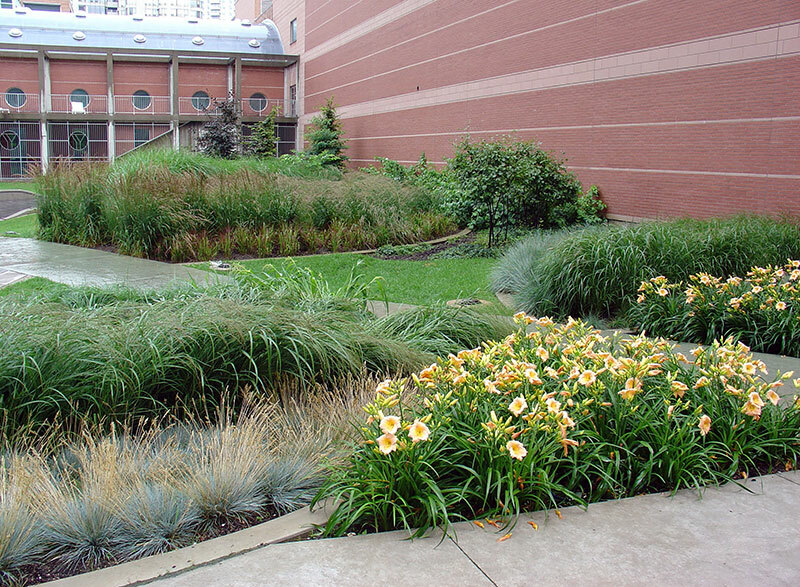 Leaf Garden , 2003. Detail: South park. Summer 2004. Leaf Garden , 2003. South park. Fall 2004. Leaf Garden , 2003. South park. 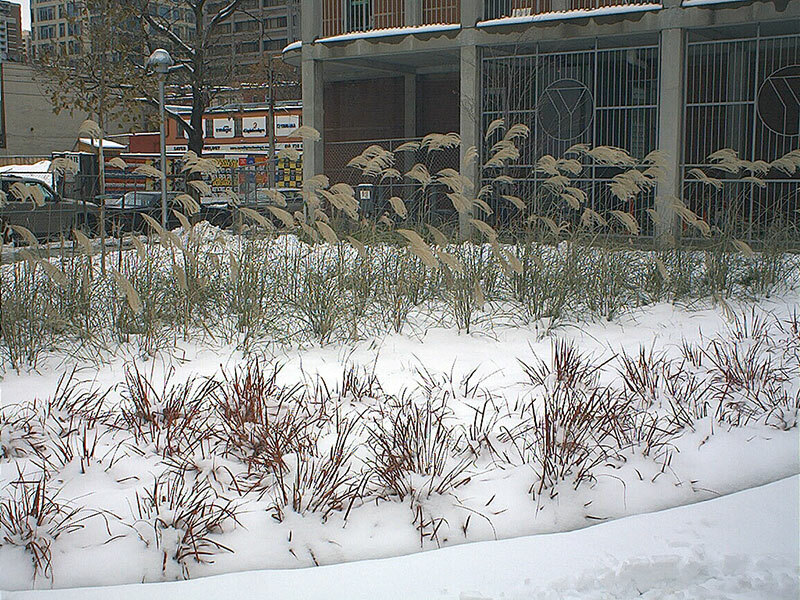 Winter 2004. 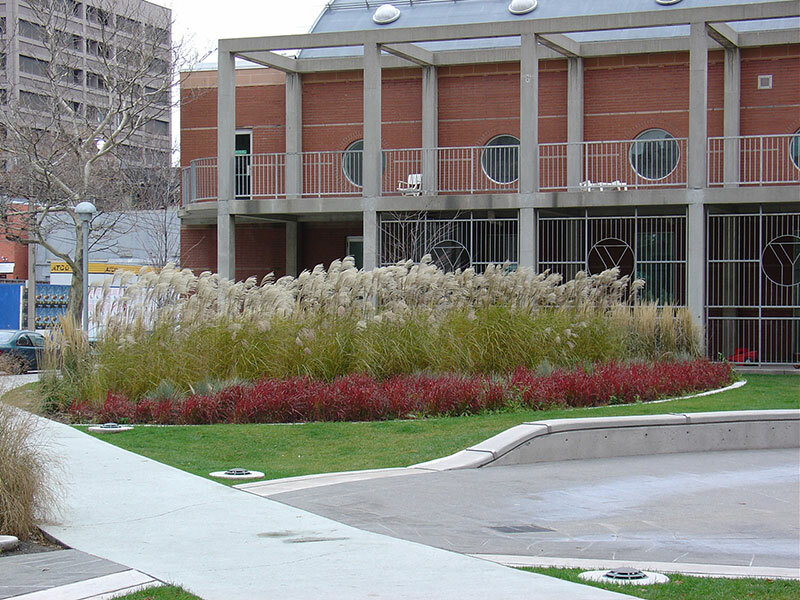 Leaf Garden , 2003. Inlaid walkway from Bay Street. 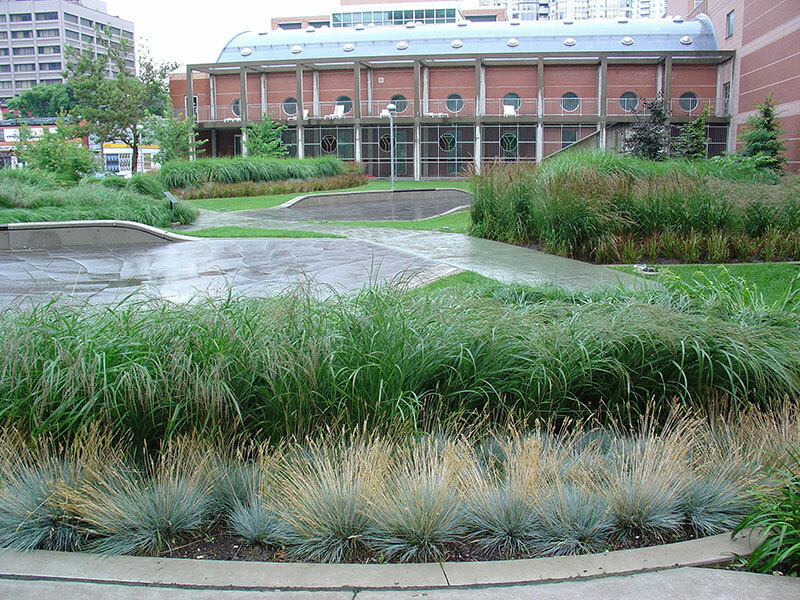 Urban park designed as a botanical overlay to resist the urban grid. Laser-cut granite segments recreate leaf cell structures in exact match with design drawing. Leaf edges designed as seating walls. Adjoining downtown ‘Y’ (Metropolitan Toronto Central YMCA). Children’s water feature mists and sprays the lines of an Osip Mandelstam poem in Morse code sequences. 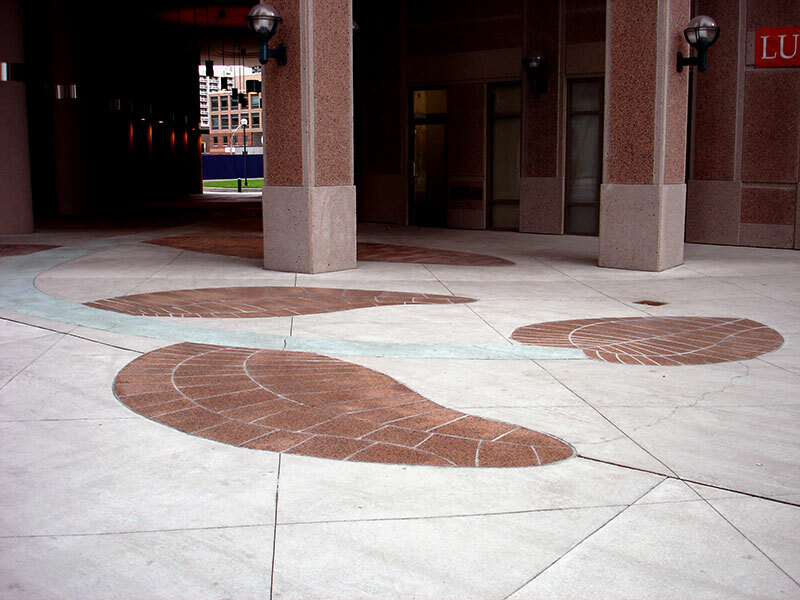 Stem-and-leaf inlaid granite path links North park to Bay Street. 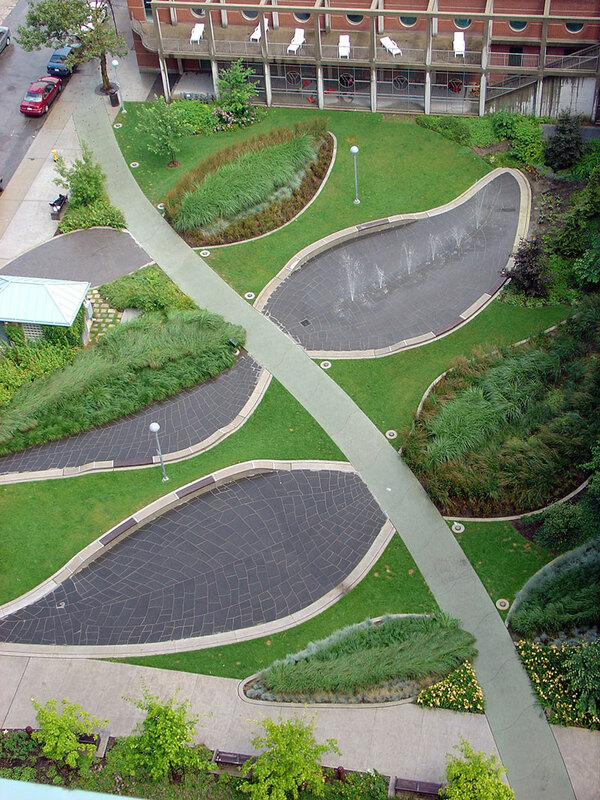 Surface area north and south parks, walkway: 4,287 m² (5,127.2 yd²) Landscape Architects: Fleisher Ridout Partnership Inc., Toronto. Project Manager: Bob Duguid, Parks, Forestry and Recreation, Toronto. Commissioned by East of Bay Development Corporation in cooperation with City of Toronto.